I&apos;ve always been a fan of Hitchcock films, and after a recent trip to Northern California, I was inspired to recreate the character of Melanie Daniels from The Birds. 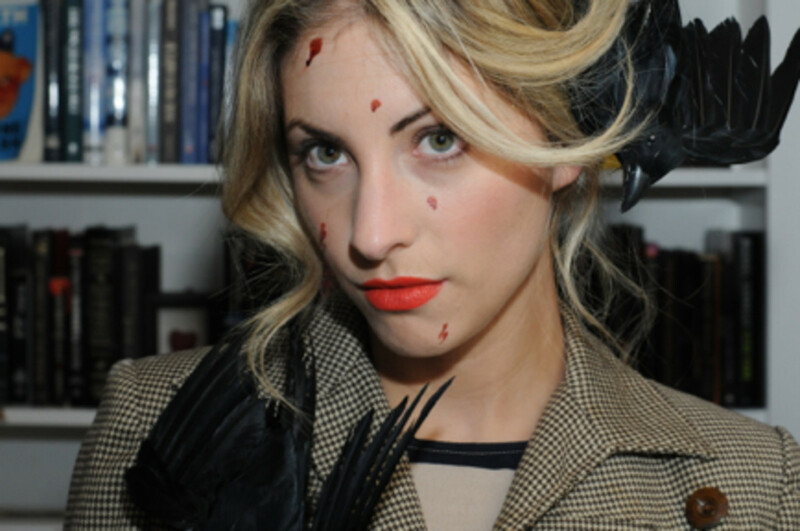 I found a vintage skirt suit, wore a disheveled french twist, affixed crows all over my body and hair, and added some bloody scratches to my face. I&apos;m really happy with how it came out and was equally impressed by all of the creative costumes from our party on Saturday night, including the Grand High Witch and mouse (from Roald Dahl&apos;s "The Witches"), Mr. Clean, Sharon Stone from Casino, and a Beverly Hills housewife. Happy Halloween!